For India’s automobile industry, the need is not only to grow speedily but to adapt the most sustainable solutions like zero emission vehicles. 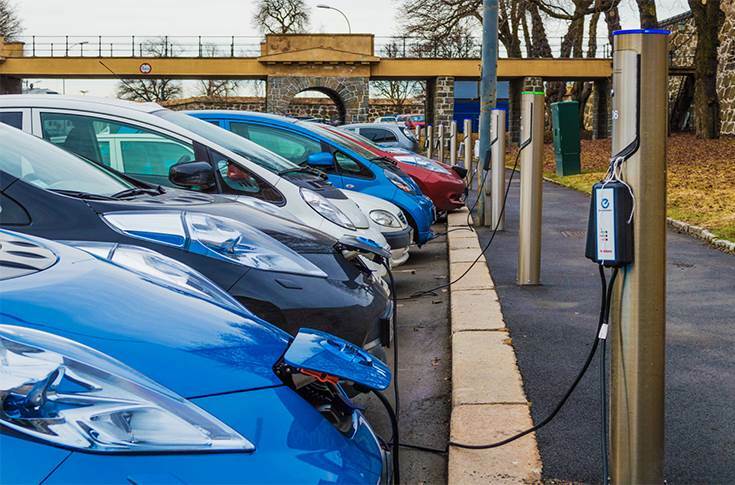 Considering current environmental conditions like depleting air quality and increased imbalance of greenhouse gases, the government has been laying a strong thrust on higher adoption of electric vehicles by 2030. India spends around $80 billion (Rs 553,640 crore) on crude oil imports each year, which makes it the third largest crude oil importer. In the next 10 to 12 years, our imports will grow to $550-560 billion (Rs 3,806,275 crore - Rs 3,876,040 crore). Of the total imported crude oil, over 40 percent goes in transportation. Taking all these aspects into consideration, this dependence on the non-renewable resource has to be reduced. Availability of user-friendly charging infrastructure is a vital factor that determines the success rate of a country’s EV mission. Realising the vision of an all- EV-empowered India calls for developing an entire EV ecosystem. The country, with its 1.3 billion population and parc of over 20 million cars, can immensely benefit by adopting EVs. Norway, with a 5 million population, is an ideal example of a small market with the largest share of battery electric vehicles in the world with emission reduction and sustainability as the key motivators. However, if EVs are to find mass acceptance in India, the entire EV infrastructure and government policies need to be supportive to boost the entire EV ecosystem. With the government being ambivalent, electric mobility has had a mixed run in India. On one hand, the government has acted as a catalyst and encouraged the use of EVs in India by moving in the direction of making a policy, but took a step back emphasising the ‘need for an action plan’. As the government intends to promote electric mobility, it is expected that the new version of the Faster Adoption and Manufacturing of (Hybrid) and Electric Vehicles (FAME) scheme will give exemptions and subsidies for manufacturing EV components and to EV buyers. Fully plugged in: Norway continues to set new records for electric vehicle adoption. Meanwhile, the government has made the right move by aiming to electrify the public /mass transportation system in the initial stage. Its policy on the FAME scheme for bus-led mass transportation in 11 cities is in the same direction. NITI Aayog has proposed the removal of requirement of all permits for manufacturing EVs. This will come across as a big boost to all EV manufacturers who can finally heave a sigh of relief from purchasing and renewing expensive permits annually. Additionally, government policies and framework promoting the manufacturing of various components of an electric vehicle like BMS and powertrain need to be incentivised. If mass-scale electric mobility and increased sales of EVs are to be achieved, the EV charging infrastructure will play a critical role. The availability of a user-friendly charging infrastructure is a vital factor that determines the success rate of a country’s EV mission. 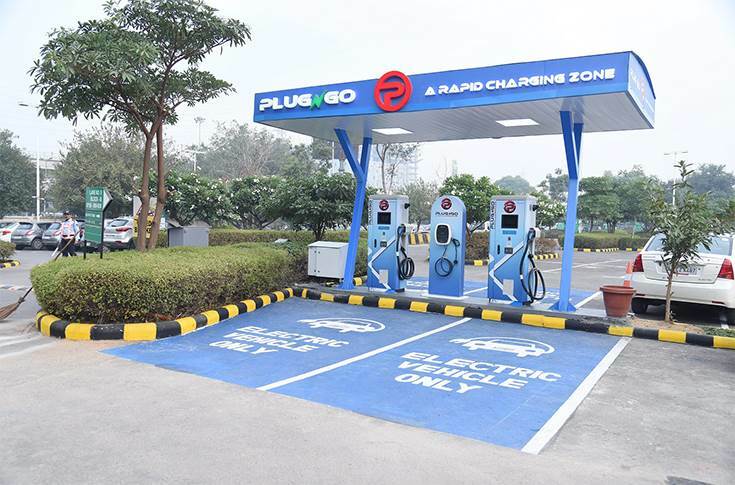 Unless there is an adequate density of charging stations that are accessible by all, neither people will be encouraged to adopt e-vehicles nor would there be much of an incentive to set up charging stations. This, however, faces a big regulatory challenge as only distribution utilities are licensed to sell or resell power. Unless other entities are allowed to sell electricity, it would be difficult to have the kind of charging infrastructure that is needed for large scale e-mobility to be achieved. Thus, there is a need to create charging infrastructure at a rapid pace. EV OEM players will play an active role in setting up the EV infrastructure in India. While there have been some positive moves on this front, for example, a committee within the Power Ministry observed that low penetration of EVs is due to lack of sufficient charging infrastructure and has mooted government intervention. The ministry has categorised charging batteries of electric vehicles as a service, which means no separate licence would be required under the Electricity Act, 2003 to set up EV charging stations. It’s a move which will help such stations operate without licence and encourage the use of e-vehicles, making charging EVs affordable. The charging stations will get electricity at a tariff that is at par with residential electricity rates, which is significantly cheaper than commercial electricity rates. These efforts would surely give a fillip and more to the nascent electric vehicle industry in the country. With the EV market being a nascent yet promising industry, keeping India's EV fleet moving will require significant growth of the ecosystem, which is currently underdeveloped. Such an industry whose potential is undiscovered, calls for an assurance for the stakeholders to firstly, make investments to set up and develop suitable infrastructure, followed by locally manufacturing of EV components and systems, and finally a well-designed policy that gives clear measures and backs it up with incentives and mandates. India has a staggering potential for EVs which is spiking the interest of investors and automakers globally, but the going is slow. The government has adopted a proactive approach by not only setting a base for EVs but also by trying to set each layer of the EV industry and developing infrastructure which is accessible and affordable to all. Therefore, it is important that private players come together in order to support the overall mission of e-mobility. Also, the creation of charging infrastructure must go hand-in-hand with EV volume growth. It is to be expected that a good number of the EV OEM players will play an active role in setting up the EV infrastructure and we can expect each one to set up a few charging stations across the country. By 2020, some global players could also enter the Indian market with their electric car portfolio. All said and done, it's time for automakers, EV infrastructure stakeholders and policymakers to realign their actions and designs with the policies and agendas of the government for a cleaner and greener future and collectively progressing towards an EV-empowered nation.